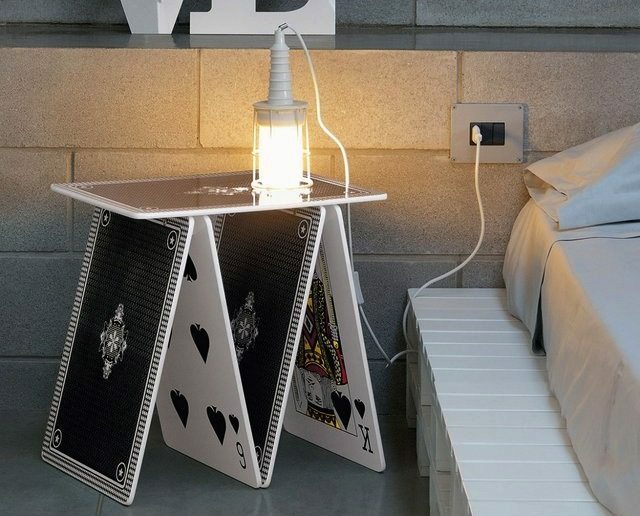 A unique table constructed with huge playing cards Striking and fabulously stylish, this fantastic Card Table will bring a touch of Alice in Wonderland fun into any space. A La Carte can be used to build a simple table/shelf ‘” or buy in multiples and create a truly stunning piece or use as a room divider. The set includes five strong, MDF cards which come beautifully presented in an extra-large card pack!